I had been wanting to go to Versailles and Giverny ever since my first trip to Paris in 2010. That combined with my recent novel of choice – Marie Antoinette’s biography, made the trip a must as soon as possible. In April we decided to do a weekend trip and because we were only there for a weekend, we decided to skip Giverny since it seemed too hectic. 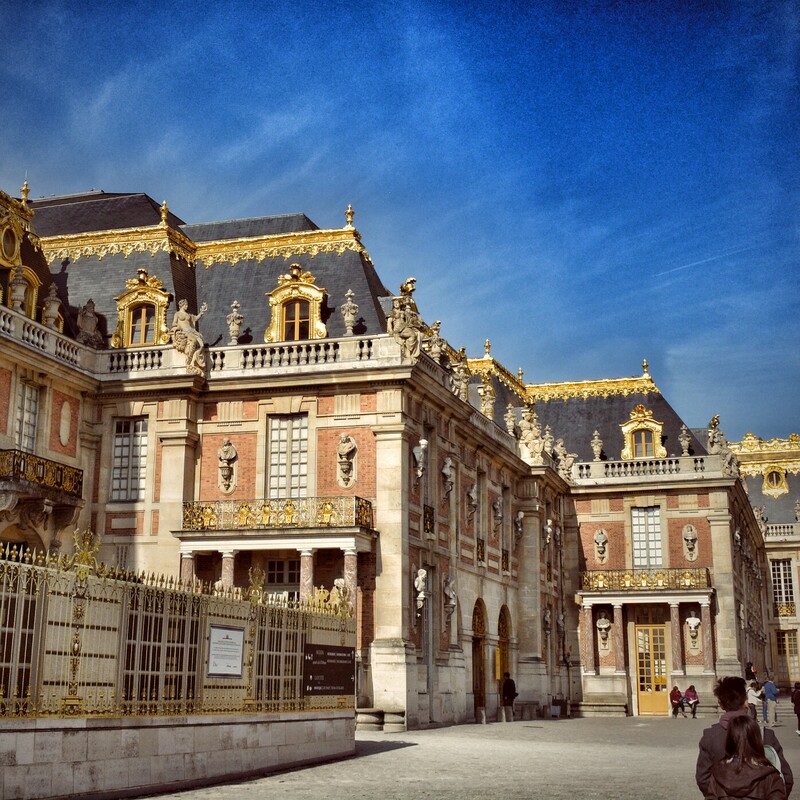 Instead of staying in Paris, we stayed in Versailles which was a really great choice. Versailles as a town is really quaint. With cherry blossom and square(!) trees lining the streets, pastry shops all around and a huge local farmers market. The town is more like a rich suburb of Paris and I suppose it makes sense given its royal history combined with its proximity to Paris (15 -20 min train ride to away). 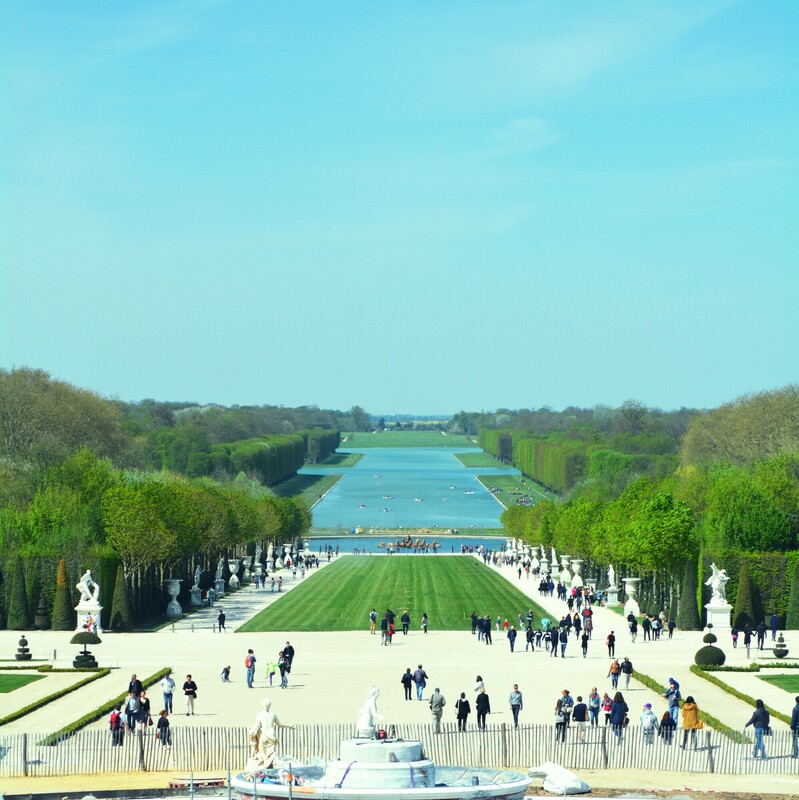 I would highly recommend staying in Versailles if you get the chance, it really adds to the cultural aspect of visiting Versailles. 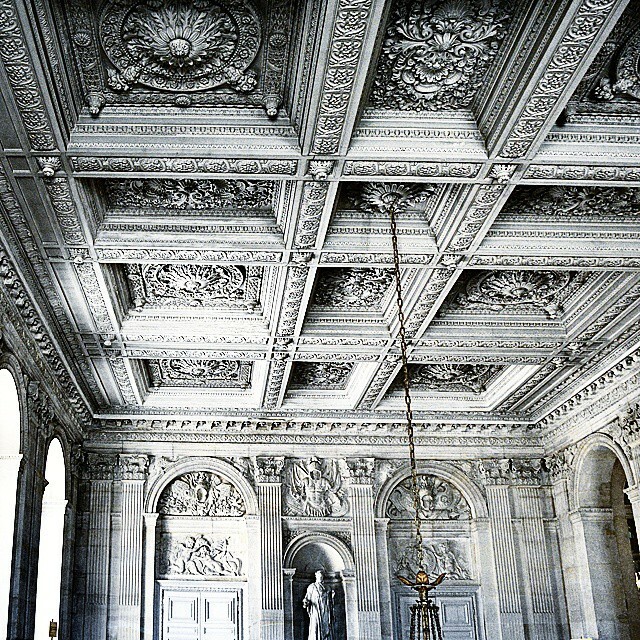 Our main focus for the weekend was Chateau de Versailles of course. Since we stayed at the Ibis in the actual town of Versailles, we took a local bus to the main entrance and walked back exiting from the gate off of St. Germain route. This also allowed us to explore more of the local life including visiting local supermarkets and restaurants along the way. The lines at the entrance weren’t too long even though we had booked online before but I’d highly recommend booking online as it seems these days all major attractions in Europe have enormous queues. The Chateau itself is enormous but much of it is closed off for the tourists. Still we spent a good few hours inside the palace taking in all the opulence from the intricate carvings and paintings to the furnishings. Midway through we took a break at Angelina’s which serves its famous hot chocolate (its pure chocolate melted). The grounds were equally breath-taking mostly due to their vastness. 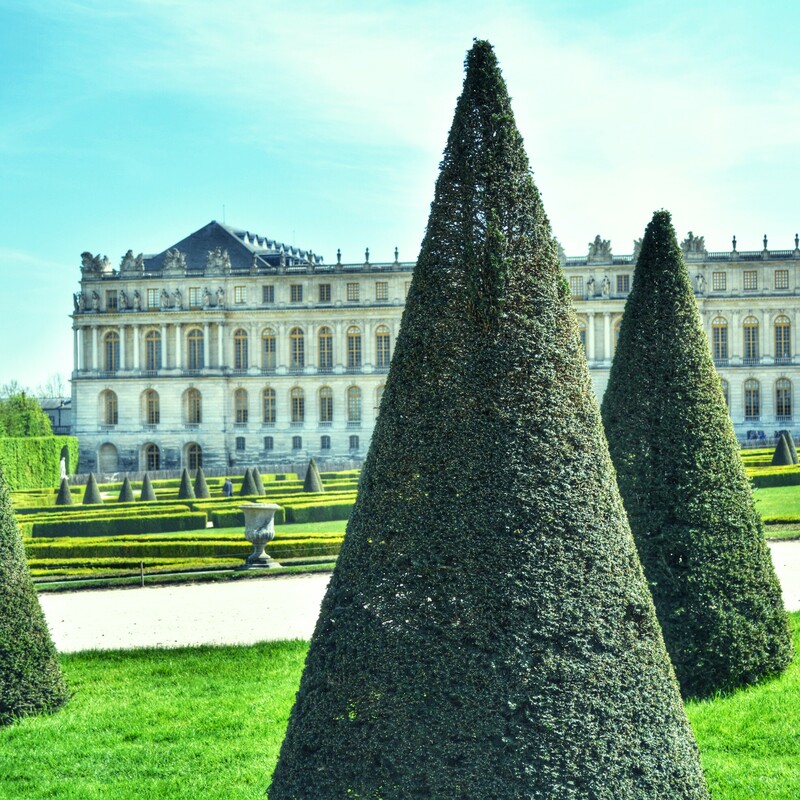 From perfectly manicured cone hedges to more square trees and gardens and fountains at every turn, it was fun to explore this past of the Chateau as well. There is also a free section to the gardens so many come there for picnics and lazy Sundays. Next time in the spring and summer I’d love to do that as well! 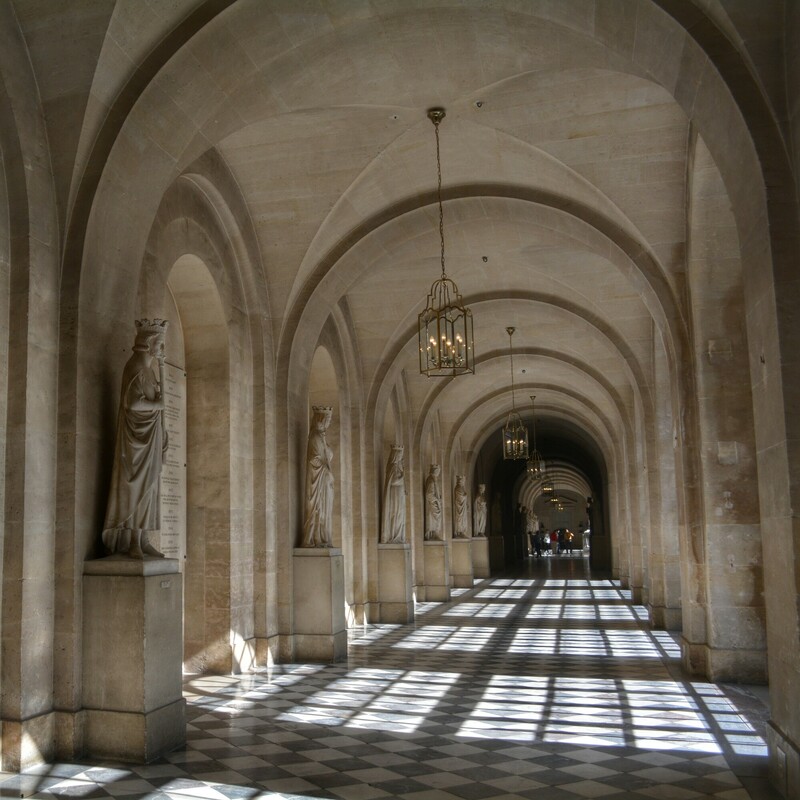 A tip – if you have a car, there are some free areas to park nearby the St Germain gate entrance. It doesn’t seem to be an official parking spot listed on websites but we saw plenty of locals parking there so they must know something! 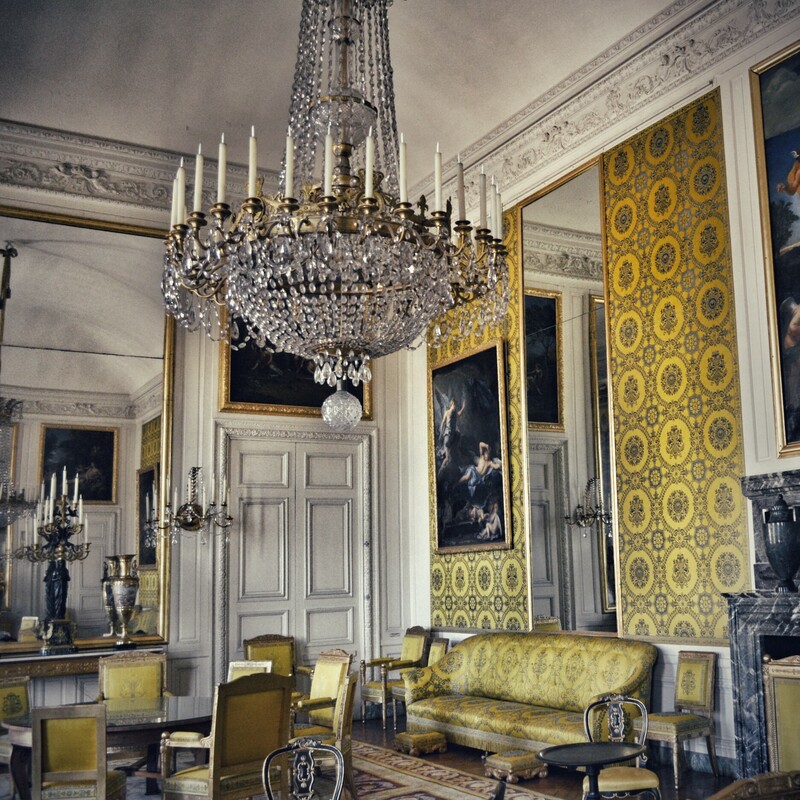 The last few stops we did were the private residences of the royals including the Grand Trianon and Marie Antoinette’s private residence – the Petit Trianon. 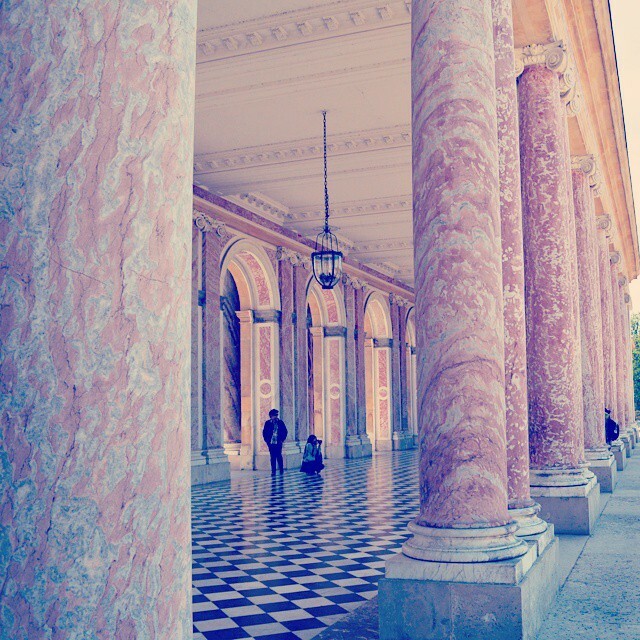 From the Grand Trianon’s pink marbled columns and opulent rooms each decorated in a different color to the simple rooms of Marie Antoinette’s retreat from court life, it was hard not to imagine the life that was led back then before, during and after the French revolution. Last but not least, we ended up doing a short visit to Paris since we couldn’t resist. There is a train directly from Versailles to the Eiffel Tower so no need to go through Montparnasse (as we did coming in). We mostly skipped the touristy parts this time (except for the night light show at the Eiffel Tower) and instead wandered through the Marais district. 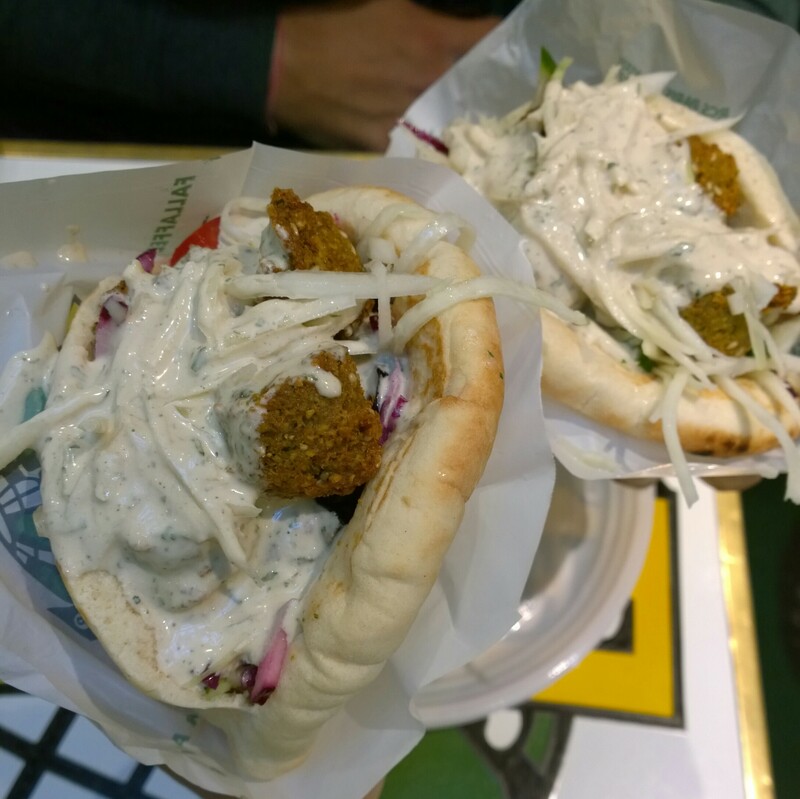 The small alleys and cobblestoned streets really add to the character of this area and part of the fun is getting lost and stumbling upon delicious and inexpensive goodies in the Jewish bakeries. Rue des Rosiers is a fun street to start off with. 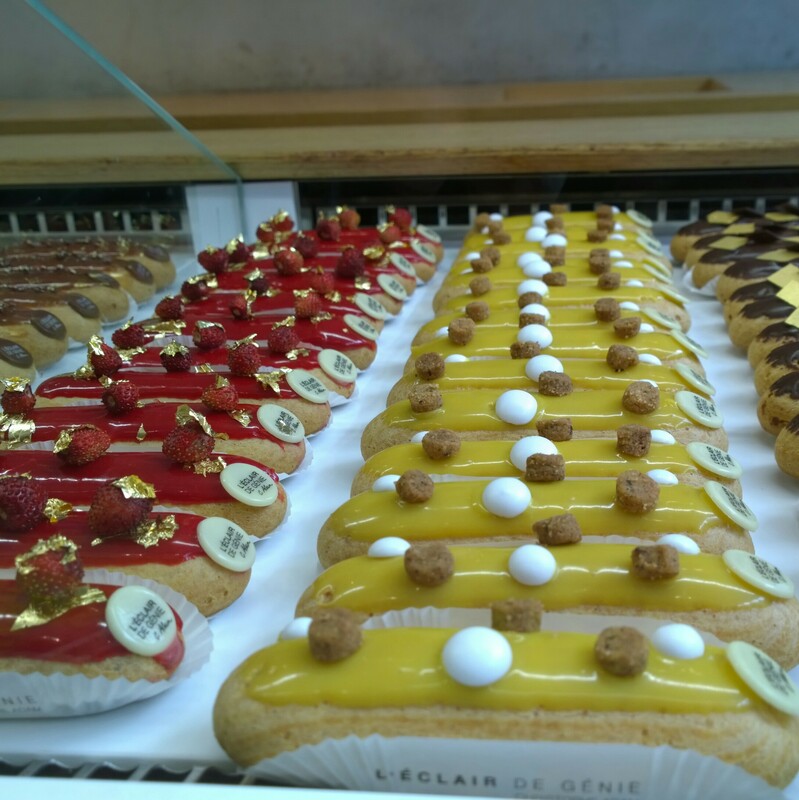 €5 can get you some delicious and authentic falafels from L’As Du Fallafel, some overpriced (but delicious) Éclairs from Le Éclair de Genie or a whole lot of €.50 – €1 pastries from the Murciano Patisserie with the bright blue door.